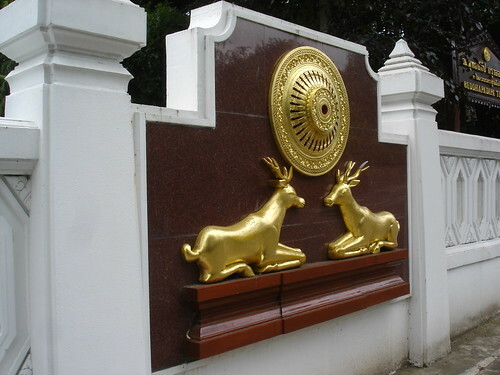 It has been weeks since I ventured out during the weekend and I had many reasons to go to London, so I force myself out to visit a Thai Buddhist Temple in Wimbledon. 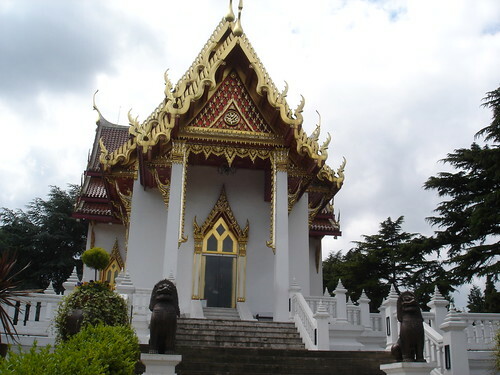 Buddhapadipada Thai Temple is the first Thai Temple in the United Kingdom. I got to know about this place from an episode of Gordon Ramsay's show of best local restaurants competition. In one of the episodes, it was Thai food. 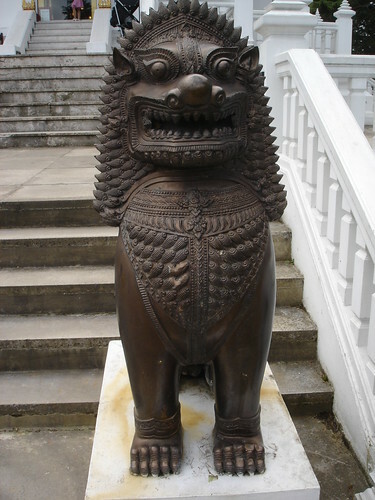 I did not take any pictures inside the main shrine as a sign of respect. The next time you are here, please pay close attention to the detailed murals on the walls and ceilings. You will see a Thai Airways flight and I believe Vincent Van Gogh. 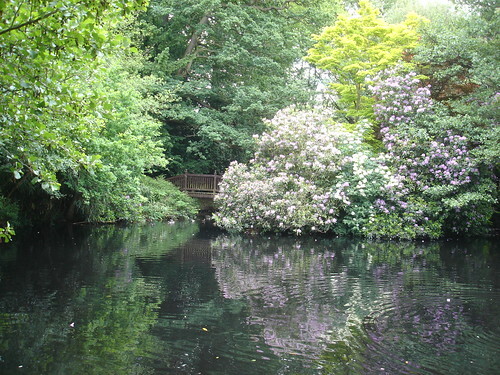 The grounds boasts a meditation garden and also cabins to house classes. I did not see any monks around as I was hoping to get some holy water blessing. If you wish to visit this place, all you need to do is get yourself to Wimbledon Station which is one of the many last stops on the District Line. From there you can take bus 93 and alight at Parkside Avenue. 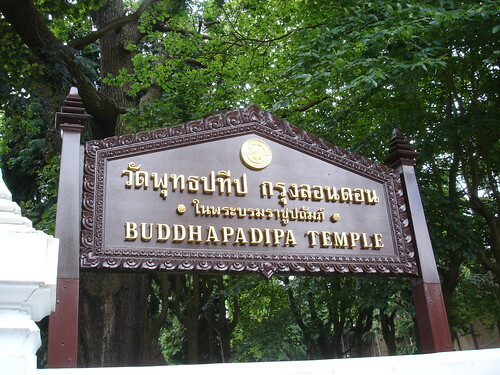 It is a very short walk then to Callone Road where the temple is. There are quite a lot of signs. There was a signal failure when I arrive and I have to alight at Wimbledon Park instead. It took me roughly 30 mins by foot from here. Thailand provides something for every kind of traveler on his /her vacation to Thailand, from Stupa-studded Mountains of Mae Hong Son to the limestone islands of the Andaman Sea, from dance clubs of Bangkok to the serene villages. http://eliburan.com/bangkok-erawan-shrine/ Erawan Shrine is one of the holiest Shrines in Thailand that is visited by great number of tourist from across the world.